You may get featured in one of our weekly themes! And if you have another genre, anything drumming/percussion goes! Have something different than what you see below? Jazz? Rock? Busking? Taiko? Contraptions? Oddities? Go for it! Follow the steps on this page to submit! Videos Received Outside the Following Guidelines, Terms and Conditions, Will Be Deleted with No Reply! Please keep in mind that we get 100’s of submissions a day. We cannot respond to every email we are sent due to the volume–we will respond if we schedule your video to be published. 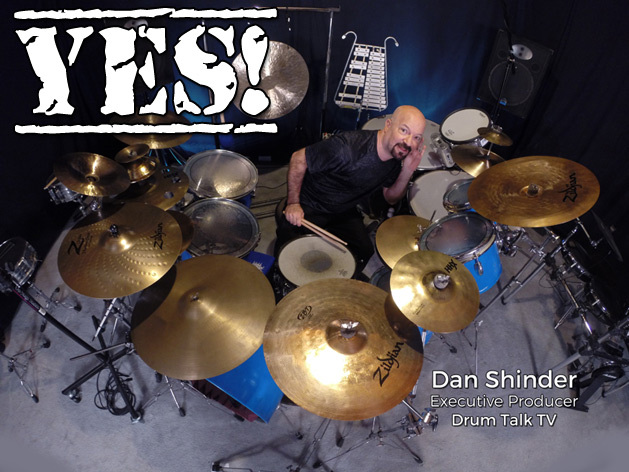 Do you need to be one of the best drummers in the world to be on Drum Talk TV? No. However, We prefer material we feel is jaw-droppingly exceptional (we know, this is very subjective). We cannot post everything we are sent, nor can we promise your video will get posted. When you are considering a video to send us, ask yourself realistically: Is this something other people will truly be cranked up about when they see it? If not, no worries. Keep working on your craft. Go to www.facebook.com/DrumTalkTV/videos to see what we have posted so you know what has worked before. This is the best tutorial we can offer. If you don’t hear back right away, don’t trip. It doesn’t mean we are not using it. Again, due to the volume, we can run as far as 3 months behind on looking at what is sent to us. NEXT, LET’S KEEP IT SHORT. Almost no one watches full videos on Facebook, even if they are only two to three minutes long. More importantly, with the roll-out of new changes to how Facebook works, they are limiting the reach of videos that are averaging less than a 75% completion rate. Therefore, they recommend 60-90 seconds. That’s FB giving us a HUGE hint on what will work best- and we want your videos to reach the masses. Facebook is also increasing how much they will limit posts with YouTube links (their biggest competitor), so we will continue to upload natively to our page and not include a link to the full version on YT*. We will tag your FB Fan Page and history has shown that if people want to find you to see more, they definitely will! *Tip: Put a link in your FB page description that asks people to watch your vids on YT, and you should also upload everything to FB as well! ANY style of drumming and percussion playing is welcome! Your video certainly does not need to be the fastest drumming, nor does it need to be the flashiest. It simply has to be “compelling playing. For instance, fast and flashy is OK, but lots of drummers and other musicians and music fans also appreciate good solid deep pocket playing. Are you a lint collector? That’s what we call those drummers! Very subtle playing, and very “Musical” playing is also a biggie on our channels! It can even be a lesson IF and only if there is no advertising or call to action in the video for people to subscribe or sign up. However, you are welcome to show off a technique and break it down. 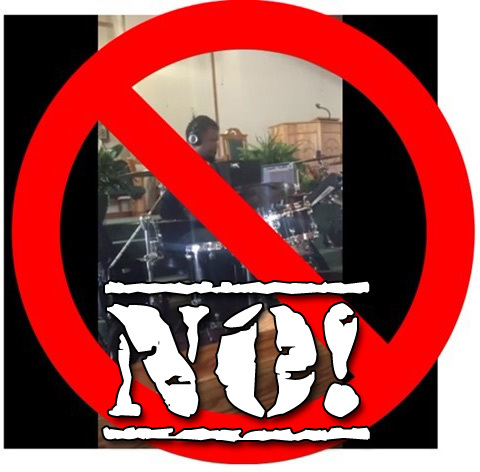 Your video does not have to be drum set playing! You can send videos of busking on whatever you use, hand percussion, orchestral and symphonic percussion –anything! No ‘Play-Alongs’ – But ‘Covers’ are welcome. Do not refer to videos where you are playing along to a track as a “cover.” A cover is an original rendition of an already existing song, not playing along with the original recording. There are many technical reasons why we cannot use Play-Alongs, but real ‘Covers’ are welcome! Also, we do not accept ‘music videos’ where the whole band is playing, unless the video focuses 80% on the drummer or is a DrumCam video. No Exceptions. If you see these types of videos on our channels it is for other reasons. We do not accept them as submissions. We also do not accept videos with profanity or other subject matter not appropriate for ALL ages. When you write your email, title it using the name of style of play or genre it is about, that matches the list of genres in the graphic (or other if yours is not listed). This helps us sort what featured theme week you might be considered for. You MUST include your name, city and country and a very brief description of the video – very brief, as in one sentence. Anything longer than this will be deleted. We get 100s a day and our elves are busy! Please send your video via a link from a 3rd-party broadcast platform, such as Facebook YouTube or Vimeo, we can download it from there if we use it. Please do not send links to your video on Instagram, Twitter, or Tumblr, and do not send us files to download. Please be absolutely sure to include each of these items or we cannot consider your submission. Always advise anyone recording with a smart phone to hold the device horizontally, NOT vertically. It makes MUCH better videos, they are not narrow and claustrophobic, you get more in the picture and it is then shaped the way a video player is shaped. We will not accept videos shot vertically. Most people only watch a minute or two of video on social media, and less than 10 seconds if it doesn’t grab them right away. Our audience is made up of much more than only drummers and are typically looking to be blown away and entertained by jaw-dropping drumming right from the start, or at least something “interesting” to them. Make it count! If the most spectacular part of your video is at 4:20, for example, trim your video to begin right before that, otherwise, most of the audience will never see the best part! If you submit a video link that we do use, we will likely download it and play it from our platform – it will get many more views that way. If we post your video, you should follow the comments on the post, made by our Drum Talk TV community–it’s a great way to obtain feedback. Just be prepared to see comments reflecting the fact that not everyone likes everything they see or hear. And let that roll off your back! If it’s a video of you, provide your existing FAN page link, and we’ll tag it (NOT a personal profile or community page). We will not add website links, YouTube Channel links, or other links. If you do not have an existing Fan Page, feel free to chime in to the comments and thank everyone and invite them to your channel. 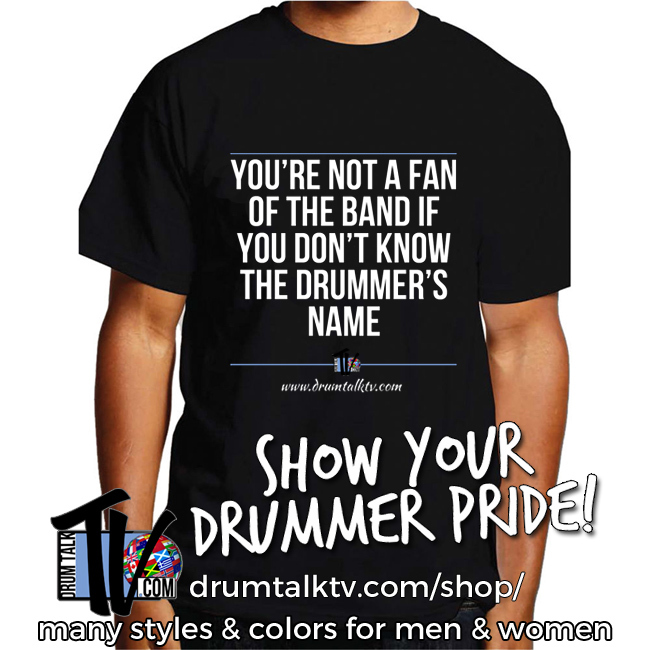 Happy Drumming from all of us at Drum Talk TV and thank you for being part of our community! By Submitting a video you understand and agree to all of the above. ANY Duplicate submissions will be deleted–they will not help your chances of being published! By submitting your video information, you have read & agreed to our guidelines above. Thank you!